The lovely Helen and Al had an intimate wedding in a Portugal with just their closest family and friends. 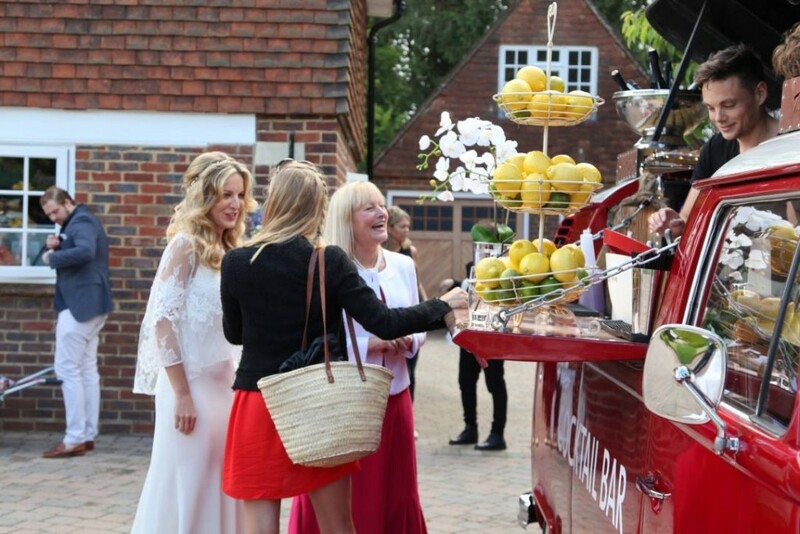 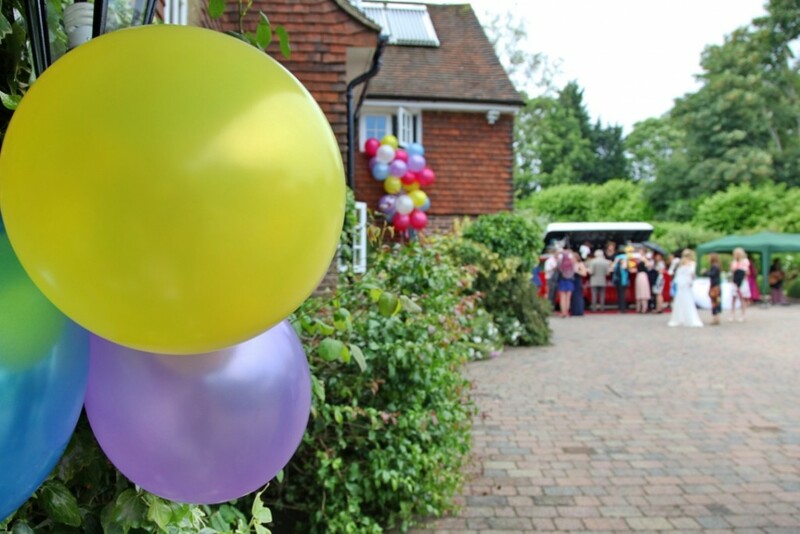 To celebrate with all of their loved ones once they were back in the UK, they had a big garden party at Al’s family home and asked us to style the event. 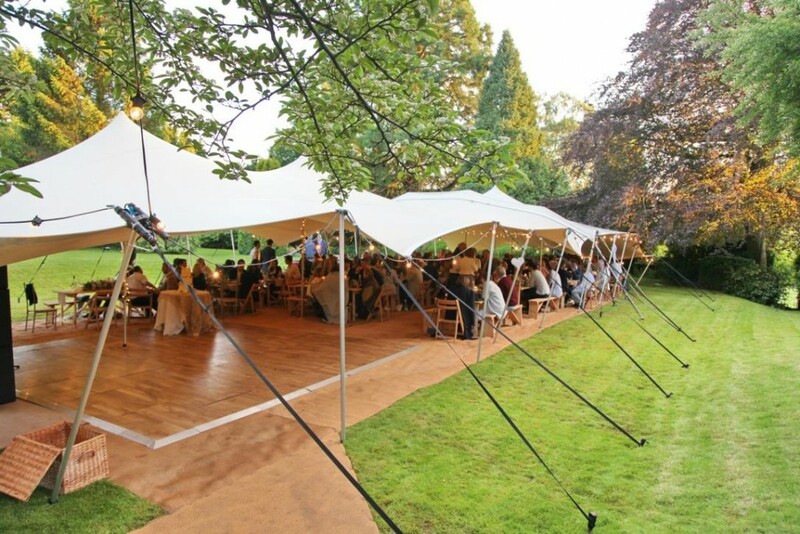 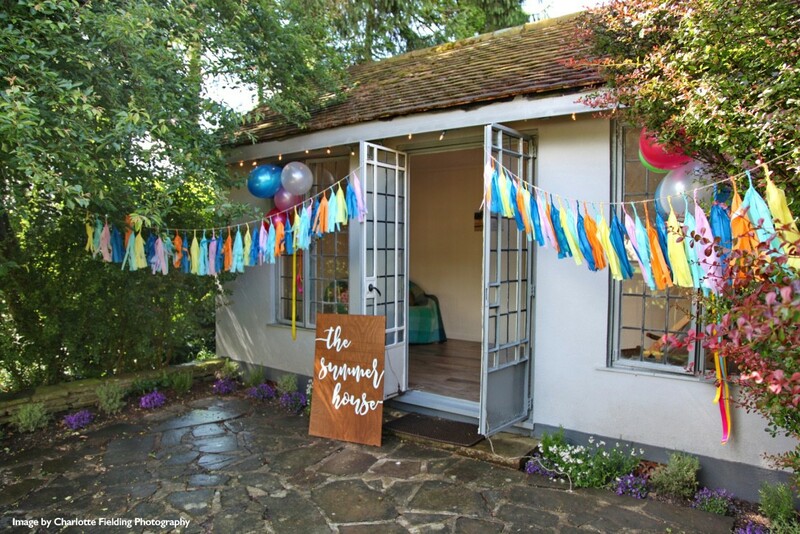 They wanted fun, brightly coloured decorations to match the beautiful garden setting and summery vibes. 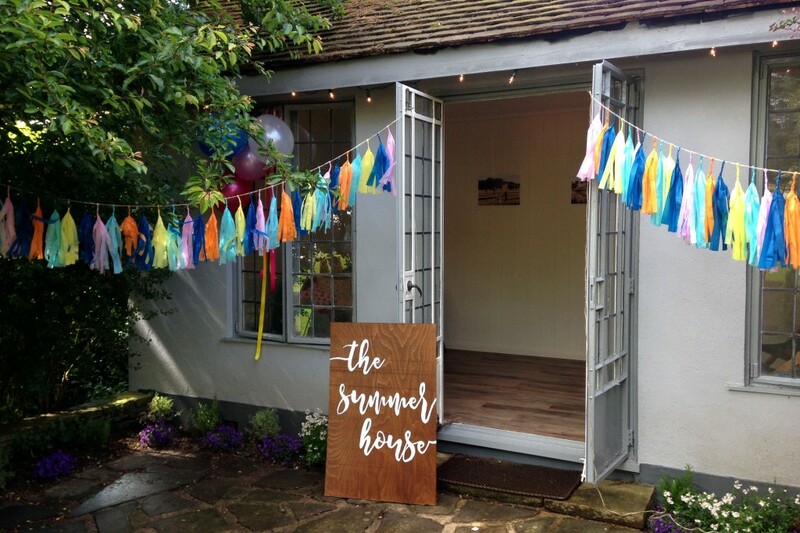 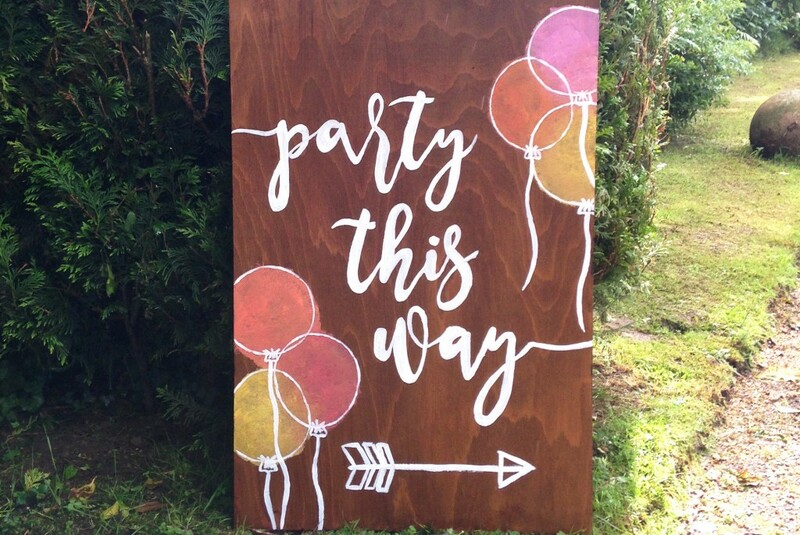 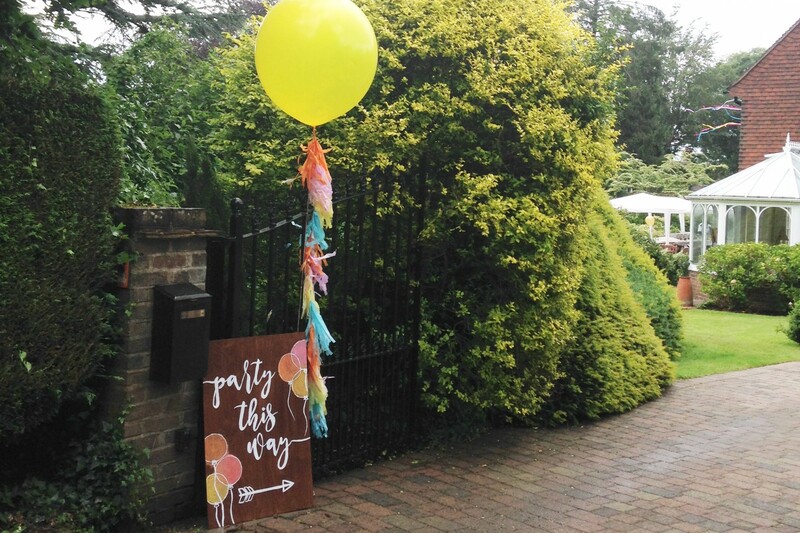 We put large balloons at the entrance of the house grounds, with hand-painted wooden signs directing the guests to the celebrations. 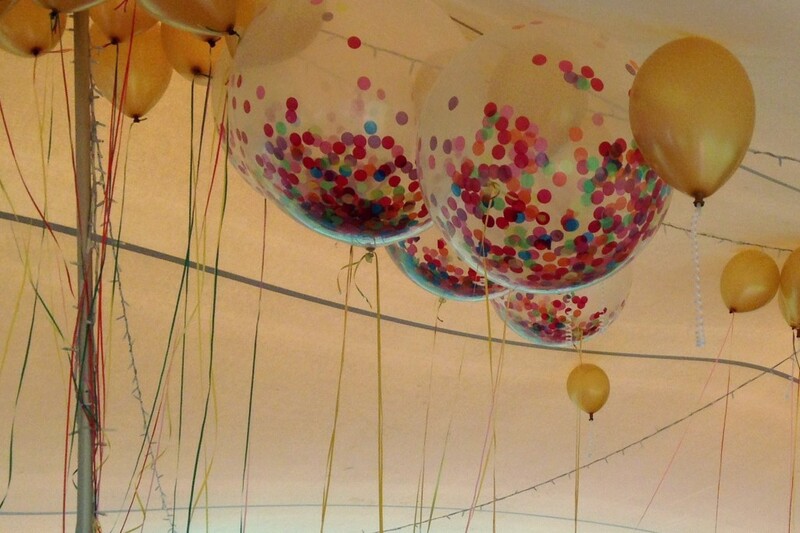 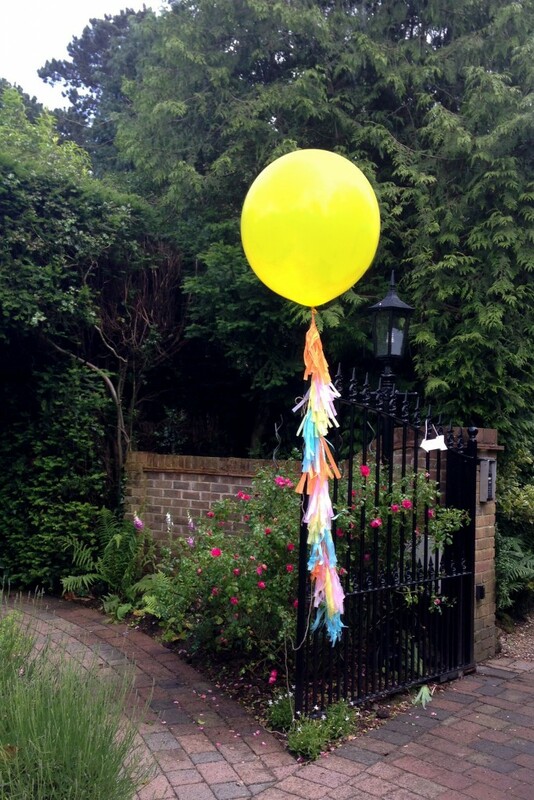 We made tassels to hang from the balloons that made a fun addition when elegantly rustling in the breeze! 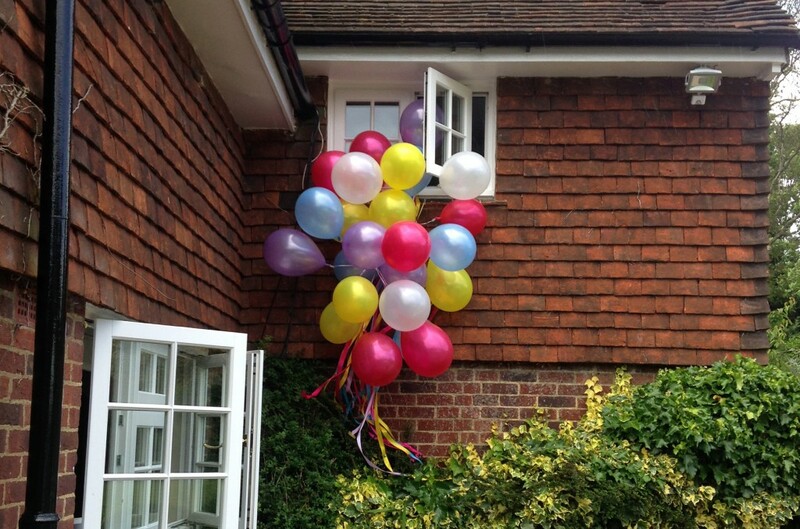 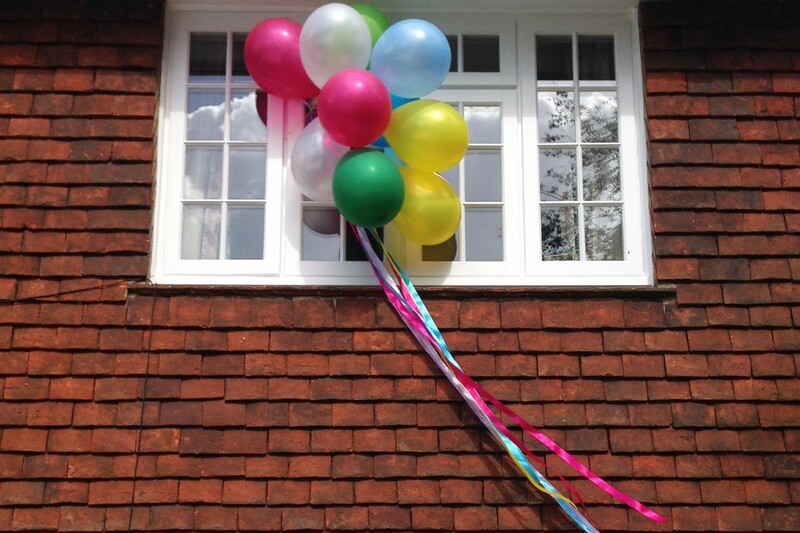 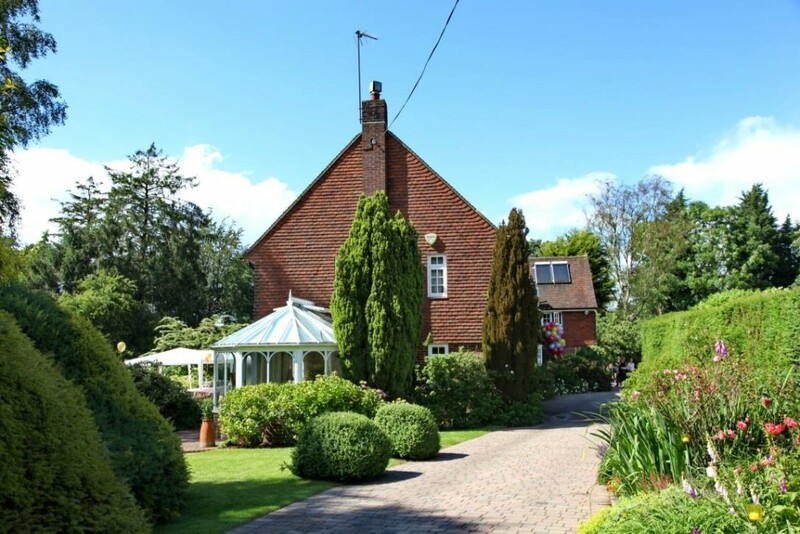 To make more of a feature of the house, we strung balloon clusters and ribbon out of the windows which were effective (and budget friendly if you’re interested!!). 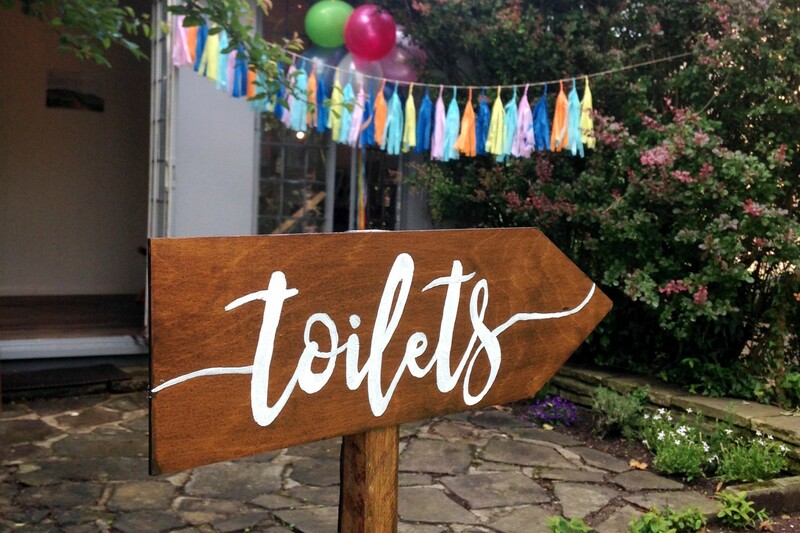 The back garden had a summer house that was set aside for a quiet area for guests, we jazzed up this up with tassel garlands and another sign to make sure people knew they could go inside. 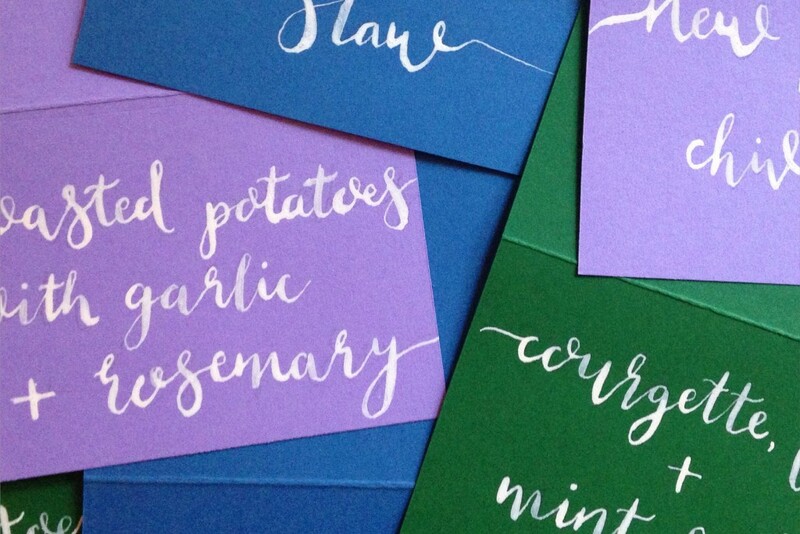 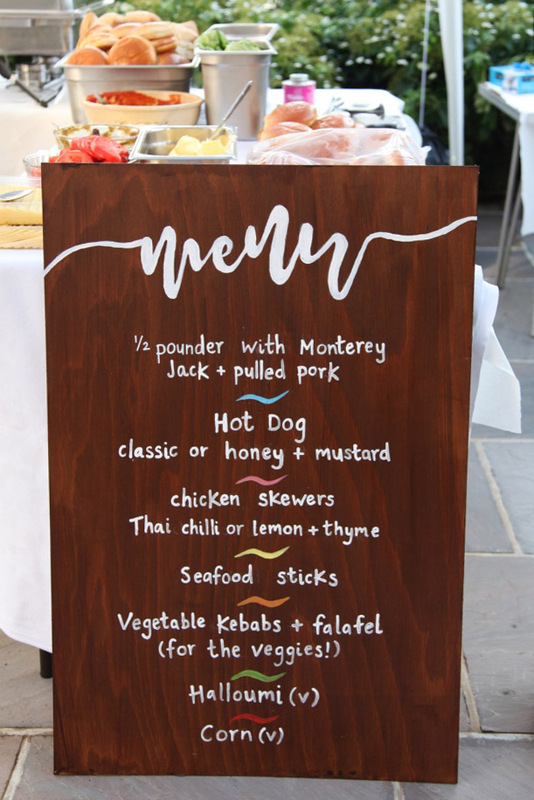 We also hand-painted a menu board for the BBQ buffet and created coloured calligraphy food cards to display dietary information. 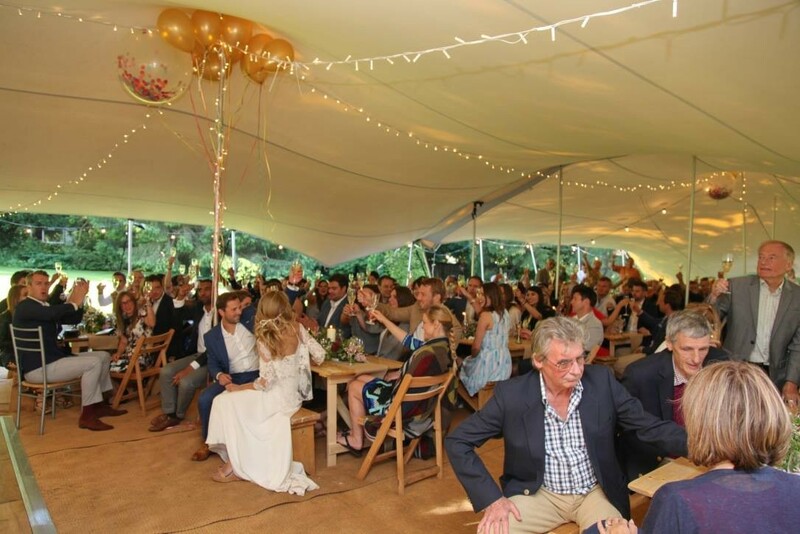 Large confetti balloons floated under the beautiful stretch tent with fairy lighting that looked amazing throughout the whole day and into the night!